*Deal Pricing not valid Family Day, School Christmas Break, School March Break, School PD Days. *Hourly Lane Rental is Regular Pricing all day Friday. *Deal Pricing not valid with other offers. ibowl.ca Family Fun Center is the ONLY BOWLING ALLEY IN CAMBRIDGE with very unique bowling machines that can be either 5pin bowling or 10pin bowling. We are open every day of the year except for Christmas Day. All lanes have bumper bowling available, ramps for children that will enhance their score, and our amusement place is always Cosmic (Premium Experience) Bowling except when leagues are bowling. We also offer indoor Cosmic Mini-Golf and a Redemption Arcade. Be part of the fun, wear bright coloured clothing that will make you glow under our fun Cosmic lighting. Come bowl with the best Family Fun Center in Cambridge Ontario, just call us at 519 624-PLAY(7529) to make a reservation or fill out the Reservation Form at the top of each web page. Our friendly staff wear either collared shirts with glow lettering or glow yellow shirts. Our staff is here to assist you, please do not hesitate to ask our staff for help. Bowling can be purchased by game or by lane rental based on time. 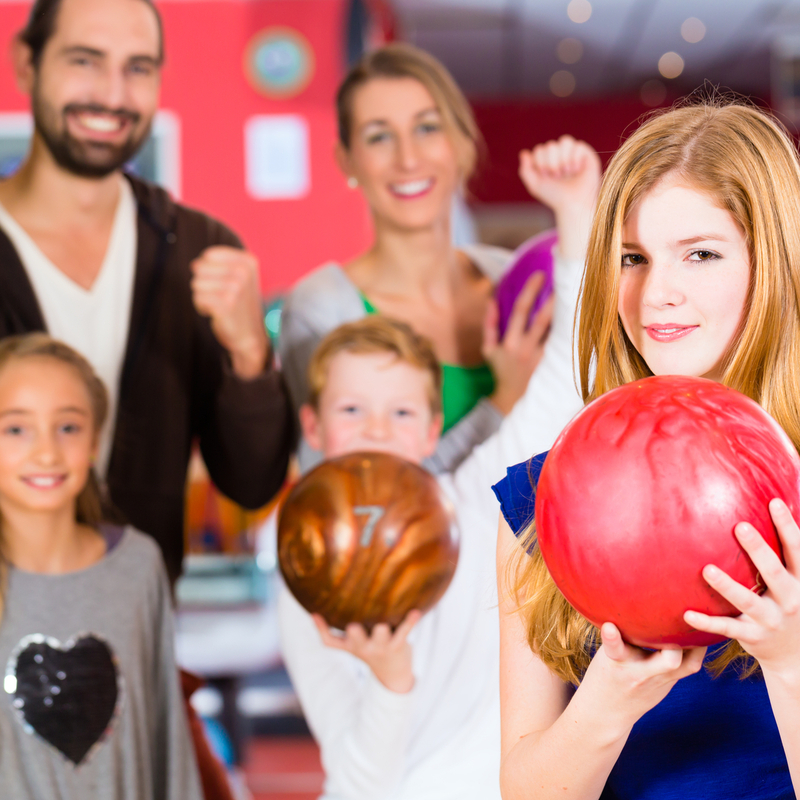 The “Triple Play” allows one to fully experience the unique ibowl.ca Family Fun Center experience. A “Triple Play” purchase entitles you to 1 game of 5pin bowling, 1 game of 10pin bowling and a round of Mini-Golf at a cost to students/seniors of $12.39 including shoe rental (Tax Extra) and a cost to adults of $15.44 including shoe rental (Tax Extra). Free slice of pizza and a non-alcoholic drink with the purchase of a game of bowling and shoes rental from 11AM to 2PM Monday to Friday at a cost to students/seniors of $6.73 including shoe rental (Tax Extra) and cost to adults of $8.27 including shoe rental (Tax Extra). Each additional game can be purchased at a cost to students/seniors of $4.47 (Tax Extra) and cost to adults of $4.96 (Tax Extra). Offer is not valid for all Statutory Holidays, March Break, School Christmas Break and New Year’s Eve. Bring in a used movie ticket stub Wednesdays 6-11pm and bowl 1 game free, shoe rental extra at our amusement place. Offer is not valid for all Statutory Holidays, March Break, School Christmas Break and New Year’s Eve. We accept reservations for all regularly scheduled hours. Call 519 624-PLAY (7529) or click here to reserve a time and day convenient to you. ibowl.ca can be exclusively reserved by appointment only for as low as $325.00 per hour plus Tax for private parties which will entitle the group to have up to 56 people bowl on our 8 lanes as well as use our Around The World 9 hole Mini-Golf course with free use of our pay per play juke box. Exclusive Reservation of the facility is $400.00 per hour plus Tax Friday and Saturday after 6:00pm.